Guy Hepner is please to present All Art Everything, in collaboration with Avant Arte, opening on Friday April 8th. The exhibition sees six emerging artists come to together to present a collection of the most trending art, and explore the current fascination of social media, technology and the contemporary artist. 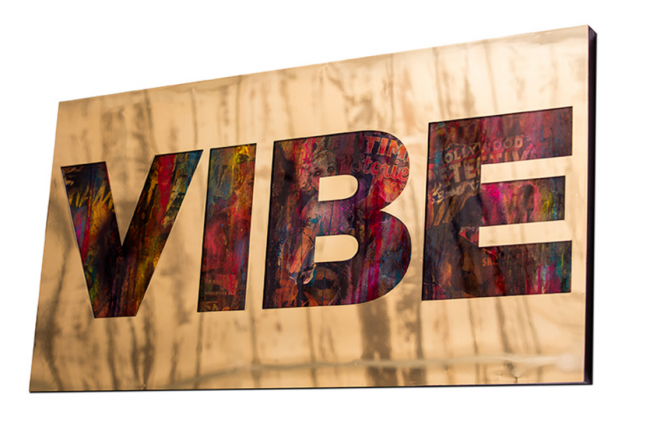 Modern artist, Jeremy Penn, will exhibition his latest series Vice and Virtue featuring paintings Vibe and Muse. New York based Penn blends modernity with pervading sexual attitudes by deliberately reference the bold, brash colors of graffiti. His mixed media works force the view to not only be confronted by a thought-provoking word, but to also see themselves as part of the artwork itself. Through a mirrored reflection, the viewer is provided with a unique interactive experience that provides a dialogue of how oneself responds. Gareb Shamus is an emerging contemporary artist born and raised in New York City. 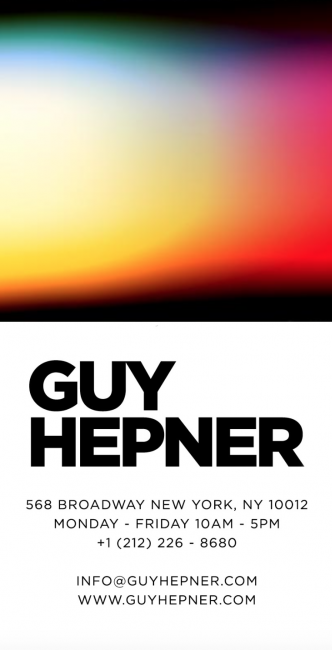 His current body of work explores how to deliver and apply paint in a way that allows his technique to be exact, methodical and precise (such as that of Rothko, Newman, Mondrian). American Dream and Rungs of Life are completed using a painting technique of his own design, which allows dots of painting to be methodically layered. This apparatus creates works that are bold, vibrant and accessible, but on closer inspection, challenge the viewer as to the origin and mechanics of the actual painting process. Jason Dussault believes that the world most impactful art is born from the expression of internal struggle. Known for his high-profile fashion line Dussault Apparel, Dussault has found a new focus with his pop culture ceramic mosaics. By combining tile, paint, grout, resin and vintage porcelain, Dussault has re-envisioned a 4,000 year old craft that has spawned masterpieces and, has made it his own. 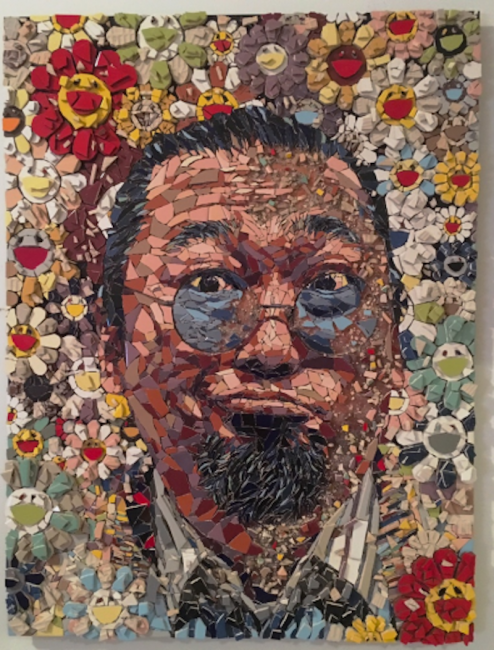 He series Self-Centered, presents unique mosaic pieces of artists that have influence his personal artistic style and include Pablo and Murakami. Born in Baltimore, Angela China’s professional painting career did not begin until she moved to Manhattan in 2010. One of the most startling aspects of her career is her quick rise within the NYC art scene with her self-taught, realist style. In her works Darkness Before the Dawn and Into the Rose Garden, we see China’s painting is a form of self-inquiry and self-expression. 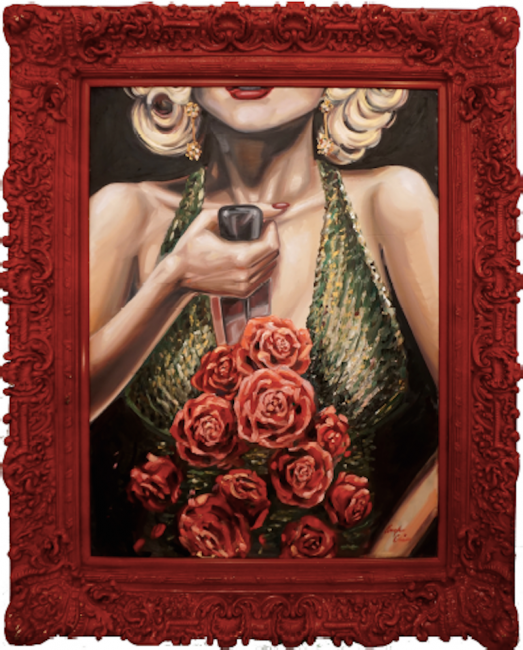 Despite the dark undertone, her work invariably portrays the elements of hope, humor and humanity. 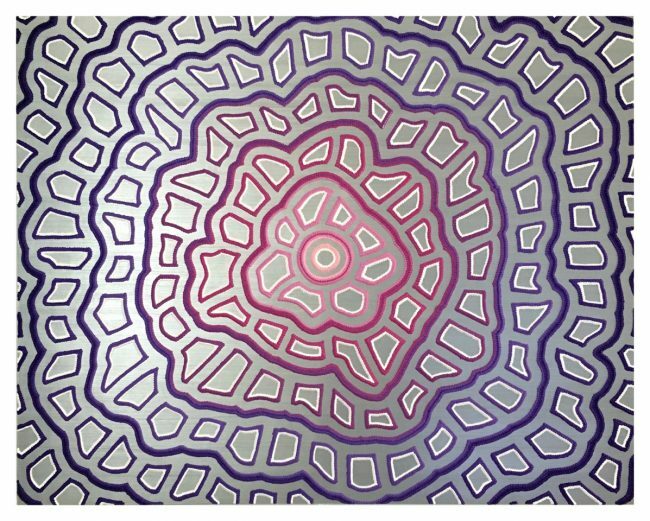 Alex Nero is a New York based artist and musician whose current body of work utilizes experimental techniques with chemistry and the physical dynamic of paint within vessels of water. 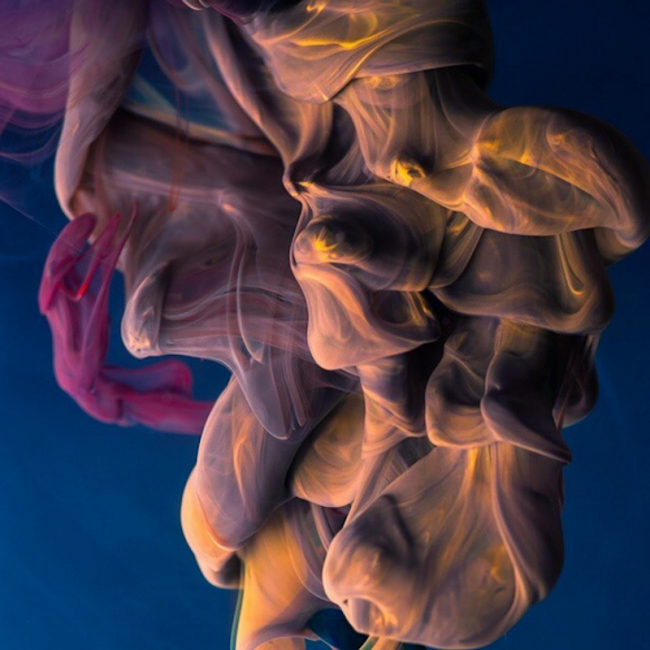 Nero captures these unique occurrences with digital photography to create images of intense vibrancy and captivating gestural movement. Nero’s Lovers Day 284 and Untitled inspires a dialogue with the subconscious, allowing a unique experience through individual interpretation. Recently relocating her artist studio to Brooklyn, artist Krista Kim further pushes the boundaries of the digital art making process. 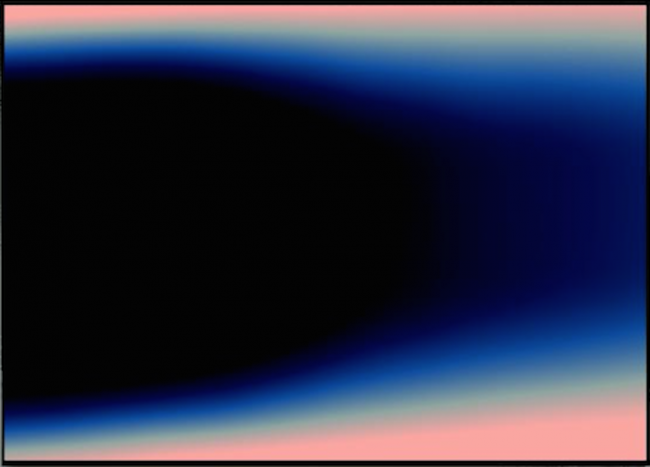 Her work is concerned with the evolution of contemporary art through the rise of digital media. A Techism artist whose work is a response to our constant exposure to LED lights through our devices, Kim’s work explores digital technology and its revolutionary effects on human perception, media, social structures and communication. No. 673 v.2 and No. 671 v.2 are both concerned with the evolution of contemporary art through the rise of digital media and express digital consciousness and question our current aesthetic principles. All Art Everything is exhibiting from April 8th to April 29th in SOHO presenting unique pieces for sale starting from $5000. For more information visit the gallery or inquire via phone or email.